By Amit Joshi . Published on December 13, 2016. It's certainly been a roller coaster of a year. People from every region, every industry, have experienced some serious 2016-induced whiplash. Even the digital advertising space wasn't immune to the year's peaks and valleys. To understand what's in store of 2017, let's look at some of the highs and lows of the last twelve months. Advertisers are flocking to digital -- particularly mobile -- now more than ever. And for good reason: 2016 has proven digital is where the money is. Mobile makes up roughly 64% of digital ad spend, which eMarketer forecasts will surpass television spending in the U.S. for the first time ever in 2017. U.S. digital ad spend is expected to reach $72.09 billion next year, representing 36.8% of U.S. total media spend. And come 2019, mobile will represent roughly a third of that total. Although the opportunities are thrilling, we can't lose ourselves in the excitement. We expect continued targeting of mobile as a channel for fraud. Fraudsters always follow the money. As we suspected, the sophistication of ad fraud techniques has increased in the last year. With the evolving face of fraud, what should advertisers watch out for? An April survey, MyersBizNet revealed that the top concerns for 78% of brand marketers were click fraud and bot traffic, which cost advertisers $7.2 billion in 2016, according to the ANA. Fraud will continue impacting advertisers across the funnel, from the top (programmatic buys) to the bottom (CPA buys), and from bid request to acquisition. Mobile is an interesting example of this. In February, MoPub, a hosted ad serving solution for mobile publishers, released a report that revealed it had lost almost $250,000 a day to a sophisticated in-app fraud scheme made up of 20 shell companies and 247 apps, which were downloaded half a million times on consumers' Android devices. Infected apps, be it a game or a utility like the flashlight, would run 16,000 ads a day in the background of a user's phone while simulating human behavior. Given the increasing spend in mobile, we expect fraudsters will continue deploying increasingly sophisticated schemes in an attempt to hide their activity from advertisers. Fraudsters will focus on tactics like toolbar click injection, malvertising and mechanisms that allow them to spoof advertiser KPIs in order to make invalid or low quality inventory appear highly performant. To achieve this, botnets will increase the sophistication with which they simulate human activity (e.g. mouse movement, clicks) and viewability. One of the most surprising trends we expect in 2017 is a topic that we haven't talked about much in the last four years. As martech and adtech converge, there will be a re-emergence of attribution fraud -- a practice which helps affiliates steal credit for organic conversions. Attribution fraud was a hot topic in 2013 when eBay made headlines for being scammed out of $28 million by a single affiliate. However, as the issue of invalid traffic came into the spotlight, attention to attribution manipulation waned. As our recent acquisition by Impact Radius has shown, martech and adtech are converging because advertisers are moving toward consolidating their marketing activity in a single system of record, which includes attribution. Accordingly, without a method to track and eliminate sophisticated fraud across their ad buys, advertisers have much to lose. But the digital advertising ecosystem is preparing itself for the bumps ahead. The release of the Media Rating Council's Invalid Traffic (IVT) guidelines in 2015 resulted in significant standardization of fraud detection in 2016. And even though third-party fraud detection hasn't become fully adopted yet, we believe the industry is heading in that direction. And the MRC isn't alone in creating a safer and more standardized advertising environment. The Trustworthy Accountability Group (TAG) has launched an anti-fraud certification program as well that we believe will become industry-standard. 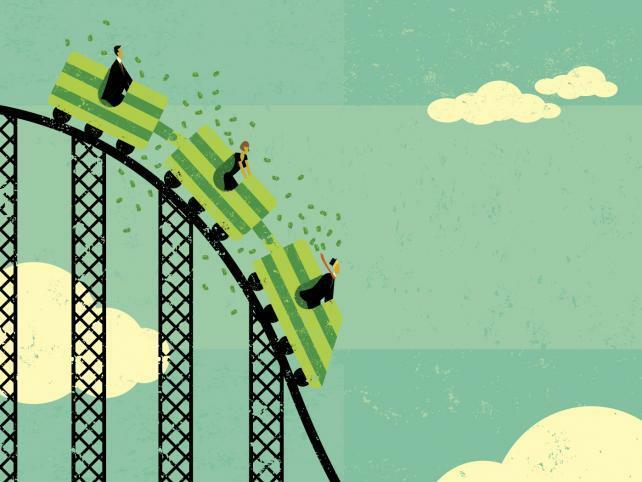 Like a roller coaster that must be up to code, digital advertising has begun implementing safety measures to protect against ad fraud. The year ahead will bring new regulations and more widely adopted regulations to keep passengers as protected as possible -- and allow them to enjoy the ride. 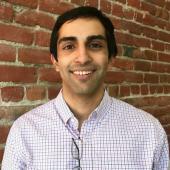 Amit Joshi is director of product and data science at Forensiq, an Impact Radius Company.